65 years after this short wind quintet was written I first performed Humoreske with the Auroras in 1994. Unusually, it opens with a lovely humorous bassoon solo and as a result has since become one of my favourites: what a treat not to play the usual bass line role in the quintet! Prizewinners at the European chamber music competition, Musique d’Ensemble held at the Paris Conservatoire in 2001, the Aurora Ensemble has performed in many major venues and festivals including the Purcell Room (for the Park Lane Group), Manchester‘s Bridgewater Hall, Cardiff‘s St. David‘s Hall and the Cheltenham, Thaxted, Ryedale and Petworth Festivals. It has broadcast on ORS Television (Austria) and BBC Radio 3 for the Young Artists' Forum Series. In 2002 the ensemble gave the first complete performance of Rhian Samuel’s Primavera and recorded it’s debut CD, which included the first CD recording of Marin Goleminov’s Wind Quintet No.2 and the world première recording of Ronan Guilfoyle’s Groove Merchants. The Auroras are currently in the process of commissioning a new work from Ronan, for première during 2004. Established in 2000, Sounds Exciting (Patron Neil Black OBE) is the ensemble’s own education project, which runs in conjunction with their recital work. Recent projects include a children’s concert with narration from former Blue Peter presenter, Janet Ellis. The ensemble has also commissioned artwork from children’s illustrator, Caroline Glicksman, to use in their children’s concerts. The ensemble directs its own chamber music course at Hawkwood College, Gloucestershire every Easter and for Benslow Music Trust each December. It is also a member of the late Yehudi Menuhin’s Live Music Now! scheme which takes live music into the wider community - to hospitals, prisons, residential homes for the elderly and schools and centres for people with disabilities. The Aurora Ensemble are Maxine Willis (flute), Gwenllian Davies (oboe), Andrew Mason (clarinet), Helen Shillito (horn), Constance Tanner (bassoon). Booking Available for Ensemble Concerto performances (such as Mozart Sinfonia Concertante), concerts, recitals, festivals and for public & private events. Classical & Contemporary. In addition to wind quintet formation, smaller combinations are possible (such as duo/trio), and can expand to include harp and/or piano. Maxine Willis* (flute), Gwenllian Davies* (oboe), Andrew Mason* (clarinet), Helen Shillito* (horn), Constance Tanner (bassoon), Eleri Darkins (harp). * indicates performed on Groove Merchants. Also performing on the album was Sarah Andrew (bassoon). Sarah has since left The Aurora Ensemble to take up a position with BBC Scottish Symphony Orchestra - We wish Sarah all the best. 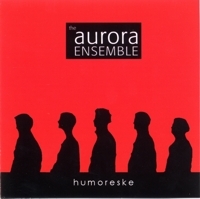 Workshops & Courses The Aurora Ensemble run regular workshops and courses, for more information please use the link below to their own web site. 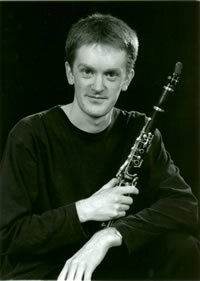 Andrew studied at the Royal College of Music as a Foundation Scholar with Colin Bradbury, Janet Hilton, Robert Hill and Michael Harris, winning the Frederick Thurston Clarinet Prize and the Roger Fallows Memorial Prize. In 2002 he made his Purcell Room debut for the Park Lane Group’s New Year series (“subtle virtuosity…mercurial responses and reactions” The Times “a dynamic player…he created a powerful impact immediately” The Independent). Earlier this year he made his recital debut at the Wigmore Hall, with duo partner Joanna Smith. This August he will once again perform as a soloist for the BBC Proms composer portrait series, for broadcast on Radio 3. With The Aurora Ensemble he has performed in St. David’s Hall, the Purcell Room and the Bridgewater Hall. In 2001 they were prize winners at the European Chamber Music Competition, Musique d’Ensemble held at the Paris Conservatoire. The ensemble has taken many schools' workshops and runs its own chamber music courses at Hawkwood College and for Benslow Music Trust. Andrew is a member of Live Music Now! with the Aurora Ensemble and the London Clarinet Quartet, who were also finalists in this year’s Royal Overseas League competition. Andrew has played for the BBC Scottish Symphony Orchestra, Scottish Chamber Orchestra, International Bachakademie Festival Orchestra and Southbank Sinfonia. Teaching 'Private pupils. Clarinet & Saxophone teacher at Bute House preparatory School, London and St. Paul's Girls' School, London.